Switching from your overpriced PSTN phone lines to a virtual phone system might seem intimating at first, but it’s an efficient business decision you can take in just a matter of hours. We’ve compiled this VoIP wiki for business virtual phone services to help you find your way in an easy way. Our business VoIP reviews, comparisons and discount offers will help you further in picking the perfect VoIP solution for your company. 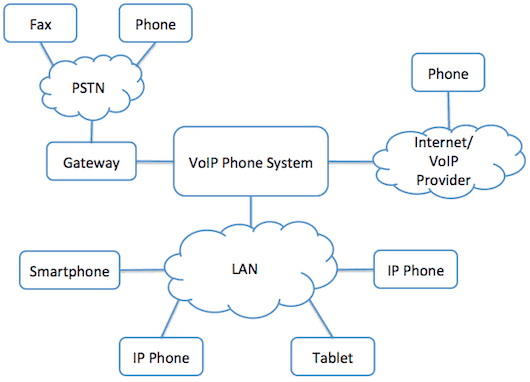 What is a Business VoIP? VoIP, an acronym for Voice over Internet Protocol, is a technology that enables you to make and receive telephone calls over the internet. Business VoIP calls can be easily made over the internet with the help of dedicated virtual phone system providers. Some corporate service providers even allow you to make VoIP calls through normal telephones by making use of special adapters, which connect your telephone to the computer network. VoIP services are becoming more and more popular in the present-day business world, as these types of phone services require less, or rather negligible, maintenance and operational overheads. This is one of the biggest advantages that your business might enjoy and is often accompanied by enhanced productivity and an overall higher level of professionalism. Where residential virtual phone systems are more catered towards one number and one telephone, business VoIP systems can manage multiple numbers and extensions for a large number of in-house users. Residential services do not enjoy the additional features, while businesses can derive benefits from a wide variety of advanced features. On the whole, the technology is standard between both the technologies. What really separates the two are the added features, the scale and the pricing plans of the services. VoIP works by converting the voice signals into digital packets of data, and transmits them digitally to the receivers’ end. At the receivers’ end, these signals are put through a reversal process to convert the packet data back into analog voice signals. The real time give-and-take type of transmission makes it an ideal communication system for your business, regardless of small, medium, or large-scale operations. Business VoIP service providers allow you to make calls through an analog telephone adaptor, IP phones and the easiest, computer-to-computer calls. Why Should I Use a Virtual Phone System? If you are not using VoIP services, you’re likely using good old PSTN telephone lines. PSTN lines are very capable of burning a hole in your pocket, as you would be paying for each minute you talk with the person on the other end of a phone call. VoIP services help you reduce telephone bills, and calls can be simply made with the help of the internet. The advanced VoIP features help in projecting a more professional image of your business, especially in the eyes of your customer. For instance, your customers won’t have to hang up during the nighttime, as an automated voice will warmly attend to them, thereby projecting the right image of a large company in the mind of the customer. Professional VoIP service providers use up-to-date technology, and can provide services to handle any amount of workload. These services also provide a good number of features like call transfer, call holding, call forwarding, and voice-to-mail transcription, thereby making the services more flexible. VoIP calls are pretty easy to make as they only utilize a standard internet connection, and no other specific and complicated hardware equipment. Moreover, the computer user interface is quite easy to understand and operate, thereby making VoIP further very accessible. You can keep your old landline number, while making use of VoIP services. You don’t need to invest any extra money to get VoIP services onboard, advanced VoIP systems can be established along with your existing telephone infrastructure. Almost every service provider supports phone number migration or portability, with or without a one-time/monthly charge. Various VoIP service providers like Vocalocity and RingCentral provide the facility of number portability, and can help you in setting up a VoIP system within minutes and that too, over the existing hardware. Online fax: This feature enables you to send and receive faxes online as a part of email attachments, which makes it an eco-friendly and user-friendly way of sharing important documents. This can save a lot of money, which normally gets spent on purchasing paper for faxing. Conference calling: VoIP services enable you to make conference calls with a good number of people at no extra cost, thereby eliminating the need to call them individually and saving a lot of time. Call forwarding: This feature enables you to stay connected with your customers even when no one is around the desk to attend to the call. The call can be forwarded to a cell phone or any other active system in an easy and automated manner. Voicemail to email: The voicemail transcription feature converts voice calls into text and sends them over to your email. This saves some precious time as it eliminates the need to listen to every voicemail for distinguishing or figuring out the important ones. 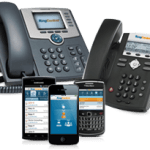 Mobile VoIP apps: Various VoIP providers like RingCentral provide iPhone, Android and Blackberry apps, which assist with managing your VoIP network even while on the go. Each and every aspect of the VoIP system can be managed through the largely capable applications.